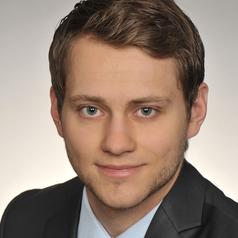 Maximilian Schreieck is a doctoral researcher at the Chair for Information Systems, Technical University of Munich (TUM), Germany. He holds a Master’s degree in Technology and Management from TUM. His research interests include platform governance, enterprise software systems, and IS for refugees. His research has been published in the IT for Development Journal and HMD Praxis der Wirtschaftsinformatik as well as in several refereed conference proceedings. He is co-founder of the non-profit organization “Tür an Tür Digital Factory” with one of their projects being “Integreat”, an application that provides refugees with information they need to settle in the host country.